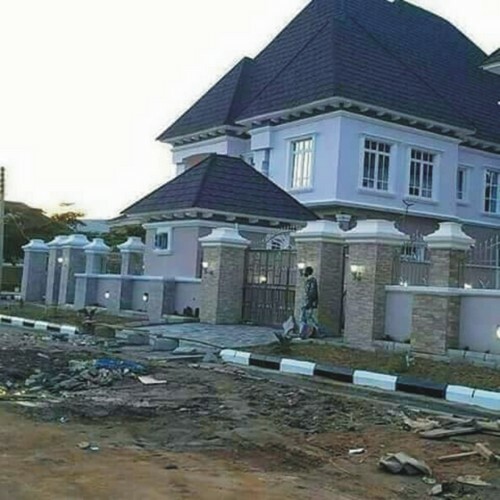 Obesere has just completed a multi-million naira mansion for his wife in his hometown, Akobo in Ibadan, Oyo State. The new home is a storey building with chalets, all sitting on about two plots. Not only that, it also has a sizeable swimming pool and a spacious car park. “Obesere has just completed a befitting house in his home town, Ibadan, Oyo State. I learnt that’s going to be his country home. The edifice is in Akobo and it’s more than four flats with some chalets. It looks like the one he built in Okota, Lagos where he resides presently. “The new structure, I learnt is worth millions of naira and it’s the finest in that vicinity. I also learnt it will be opened very soon. Although, some are saying he built the house for his wife, Alhaja Tolanikawo Akande (Nee Adelakun), it’s still a country home for Obesere going by its architectural design. It’s a master piece”. In a chat with Encomium, Obesere confirmed that the house was not his own, rather it is for his wife. “It’s true but the house doesn’t belong to me, that’s for my wife. I am not the type that should be making noise about such things. But I thank God for everything. I told God since more than 10 years I had built a house for my mother that I will do something similar for my wife as well because she really deserves it.